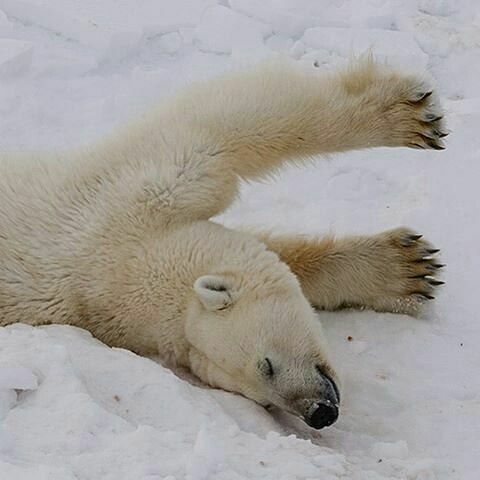 Mostly standard appearance for a polar bear--white and cream fur with a dark nose and blackened tongue. Orange eyes are custom, though. 1,500 lbs, 12 feet long, 7' 6" tall at shoulder. Whether or not you'd consider this fair-haired, blue-eyed older man attractive is entirely subjective, but he rather considers himself handsome. A little rough around the edges, not entirely refined, he nonetheless subscribes to a sense of vanity. Favors darker clothing, all in good repair. Doesn't understand why children these days think holes in your pants are cool? He likes wearing nice things even if he doesn't relegate his funding to casual purchases. Trending towards tall and visibly strong, he can take a hit and give one back. Typically either scowling or smiling. Neither of them are necessarily good signs. While his loyalty can very much be earned, Levka is motivated almost entirely by selfishness, with specific exceptions. Easily bored--and motivated by such--he is prone to giving into impulse. That said, he's not an idiot and has a good sense of self preservation, and thus knows when to restrain himself--usually. But there's a reason he's still alive after all these years. Levka takes pleasure in violence, but typically does not give into it as a first resort. He rarely has conflict with his bear, almost never seeing it as a separate entity from himself. That said, sometimes the bear is more reactive than he would have been on his own. He finds people fascinating, usually acts in a way to incite a reaction out of them. He's quick to take a first impression to heart. Levka fears loss more than anything, and is both possessive and obsessive. He's also decidedly sentimental about the things that matter to him. Though aware that he lacks in inherent leadership qualities, he is learning. Responsibility still rankles him at times, and he prefers to delegate and demand over doing things himself, but he does take to protecting that which he considers his very well. He does expect to be listened to in the pursuit of security. Born in the USSR in 1970, near Moscow. Lived a reasonably normal life as a child, with decent parents and a few younger siblings. Was defiant and easily bored as a child, often seen as a difficult youngster, but was well loved regardless. Got into more questionable things as a teenager, with an interest in violence and mob activity, wishing for adventure in all the wrong places. Eventually found his match in his later teen years--a werebear that went by the name of Heron. Was turned and absorbed into the lifestyle of the local sleuth. A pre-existing predilection for violence made it difficult to keep his head together for the first year or so, nearly tempted into full feral lifestyle. Was instead honed into being a hitman, taking out targets that the group considered dangerous or inconvenient. Maintained contact with his family, even when his brother moved to the USA to start a family. Years into his twenties, he finally began to find a balance between what his parents perceived as 'troubled youth' and an into healthier independence. Maintained something of a loner attitude despite being an integral part of the sleuth, attaching to the whole rather than to individuals other than Heron. 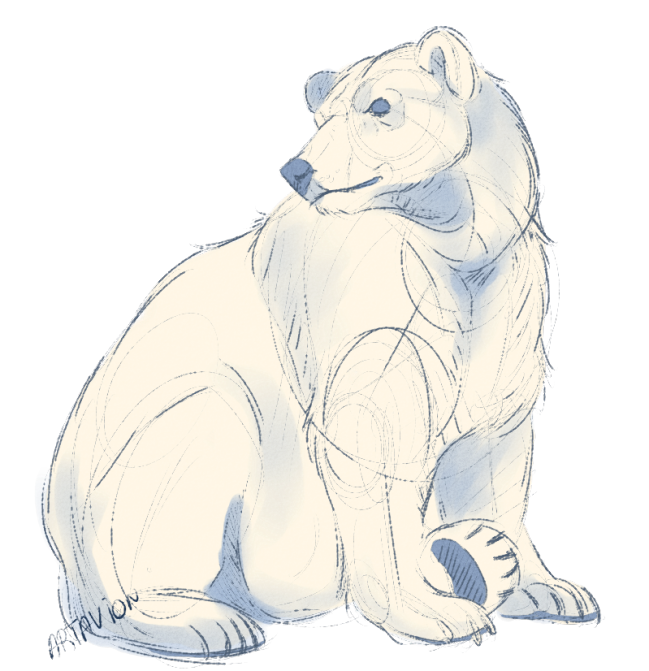 Oversaw a few operations in the Siberian tundra in his thirties, allowing him time to spend longer periods as a polar bear and become more familiar with his own soul. Grew restless over the course of his 40s, and increasingly irate towards sleuth members. The death of his brother in the states turned his attention more back to his human family as well. This proved difficult to balance, and as the years wore on he realized his restlessness could not be solved by staying near the familiar places. Seeking a different track for various reasons, he reached out to his niece that lives in Cordova to see about getting to know her as she is what remained best of his late brother. Upon relocating to Mountainside he was surprised to discover that two former bears from the sleuth in Russia were present there already. At their behest he agreed to join them. Meeting Katya proves fortuitous for a time, giving him something to focus on that wasn't were business. Began to find and gather other bears in the Glenn area to varying degrees of success, intent upon protecting all of them when the were secret was revealed. Things took a south turn in his relationship with Katya when he assaulted her girlfriend, leaving him, at least for that time being, with the sleuth as his primary reason for being in Colorado. A falling out with a couple members of the sleuth reduced their numbers, but only made Levka more determined to make things work. Over time, an unexpected relationship with the local Cheetah Queen, morphed from reliable friendship to yet another incredible reason to stay where he was and do what he was doing. Native Russian speaker; Speaks and reads English proficiently, struggles at times to write in it. Texting is a whole different challenge. Katya is his niece. He will probably murder you if you hurt her, despite their current estrangement.